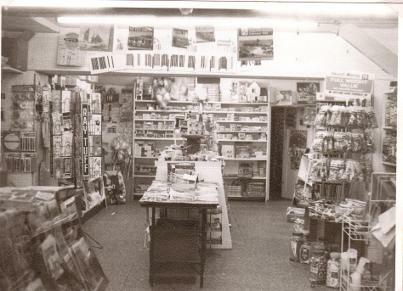 Above: The Paper Shop, date unknown. The proprietor was Streeton. 1872 The Daily Western Times is advertised as being available at Mr Lamason's, although where Mr Lamason's was at this time is uncertain. In the 1891 census Osmond Lamason, newsagent, is living with his two sisters in North Street. A 'virtual walk' through the census shows that he is very near the bullring on the eastern side of the street. Maria Langler, nee Lamason, later runs the Paper Shop - it seems a reasonable assumption that Osmond was at No. 6. 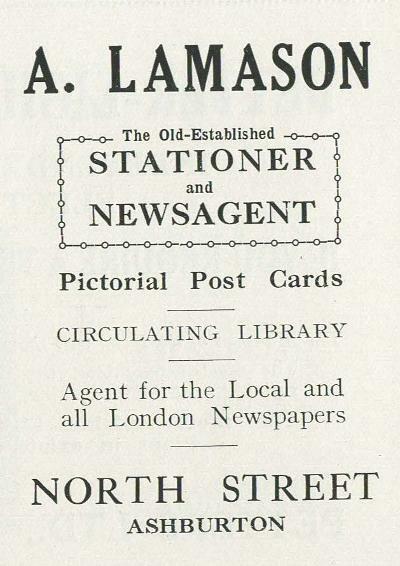 In the 1911 census Agnes A Lamason is a newsagent and stationer in North Street, assisted by her niece Maria. On Saturday evenings Lamasons the paper shop was always crowded, people came to pay their paper bill and Maria and her husband Stanley Langler* presided behind the counter talking and enjoying the social atmosphere. They sold the current magazines of the day, Weldon’s Lady’s Fashions being a great favourite, as many people owned a sewing machine: often infants and girls clothes were made at home, My mother was interested in the pattern books of Maria (who was French). She would say “Take it home and see if you want it, if not bring it back!” They had a very small lending library: a book could be borrowed for a week for tuppence. It was such a casual system that little money could have been made. Authors included Zane Grey (cowboy stories) and Ethel M Dell. Sweets and chocolates could be bought there, a speciality being Granny Lamason’s toffees. These were two inch lengths of a very dark bar containing a couple of nuts. It was twisted in the middle. 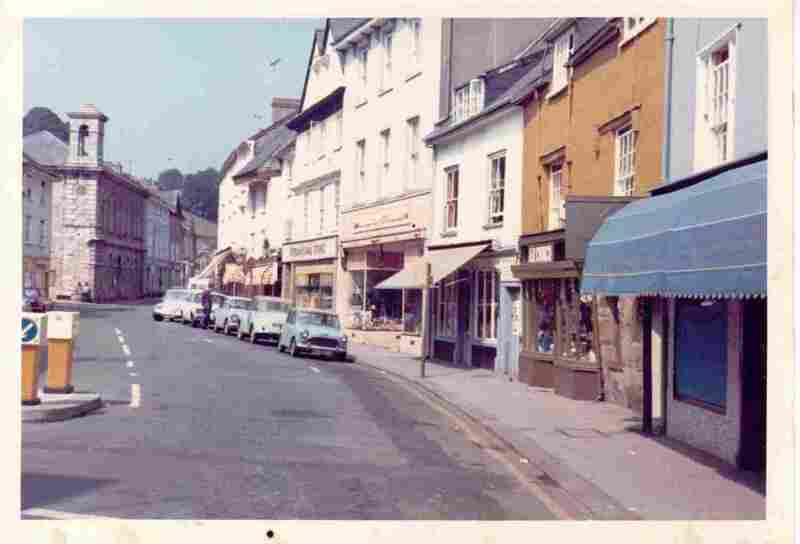 The Lamasons had come to the town from France in Victorian times and the old woman had a basket shop where the museum is now (1 West Street). Her blind grandson Jack lived with her and he was the local paper “boy”. He could identify the paper by the feel, and seldom made a mistake. He had a remarkable memory and as children we would wait expectantly on my mother’s birthday for Jack to arrive. The annual ritual never varied. “Good morning Florence, a very happy birthday to you” he said, rubbing his fingers together and thinking carefully, “let me see - March 25th - you will be forty eight today”. This procedure was repeated for most of the householders who had their papers delivered, and then he was given a shilling for his trouble. Sometimes a bicycle would be left standing at the kerb and Jack would collide with it. The air would be blue and his loud voice would bring everyone out to see what was happening. 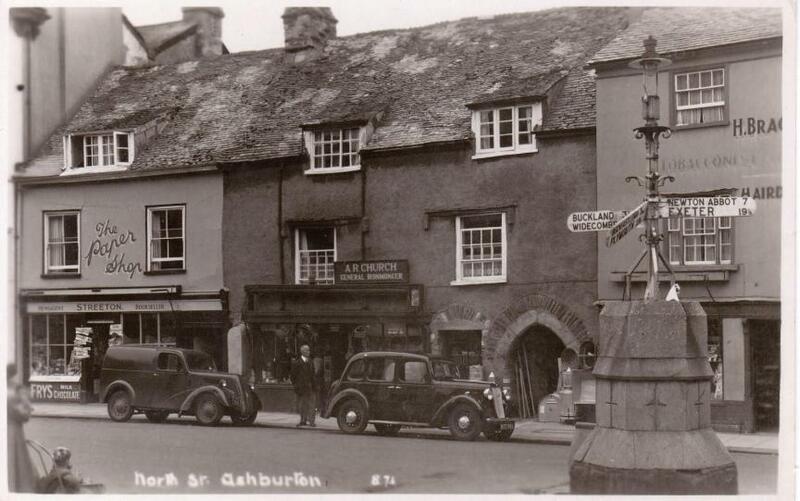 He was still advertising in an Ashburton Guide in 1947 or later. 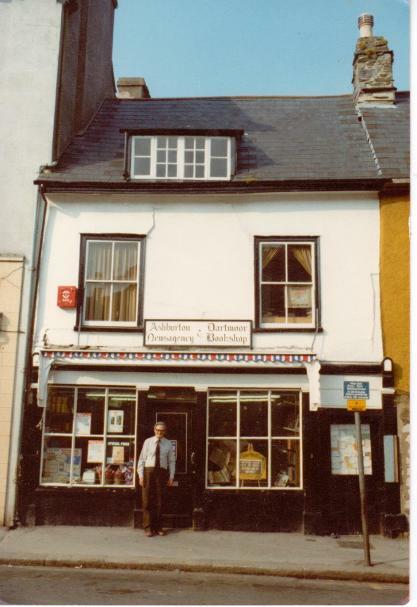 Left: Harold Lowell outside The Paper Shop, at that time incorporating The Dartmoor Bookshop, 1970s. Above: 1970s. The Paper Shop is third from the right, with the white blind. Margaret worked at The Paper Shop for years - possibly all her working life. If you had to choose one word to describe her, it would probably be 'sharp'. One customer was known to have items from the shop that didn't go home via the till, but Margaret had a singular way of dealing with him. 'That will be ten and sixpence,' she said, as he presented goods at the counter, 'and two bob for the one under your coat'.